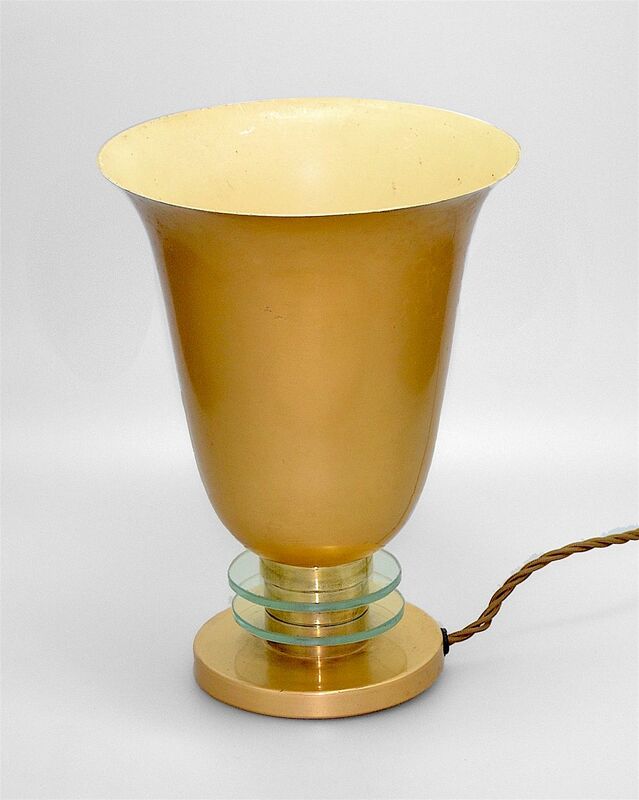 This is a very elegant Art Deco uplighter. Made of gilded metal the stem that supports the tulip shaped metal "shade" has two glass discs alternating with brass rings. Please note that the light has a plug with 3 square pins and is wired for the UK system. Please check whether this is compatible with your system before purchasing as returns will not be accepted and refunds will not be given if there is an electrical incompatibility problem.